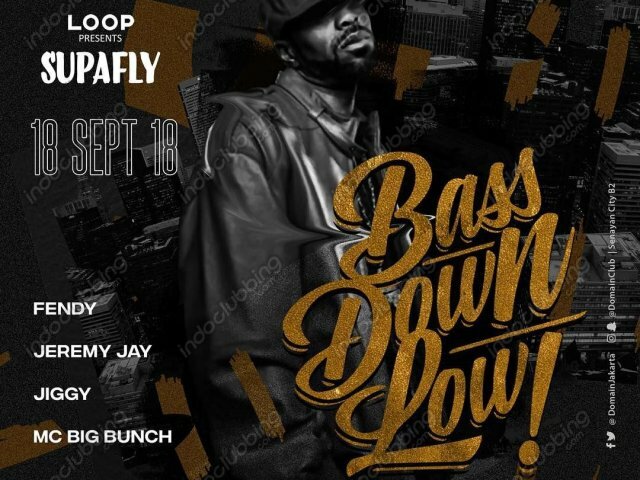 The most happening Tuesday night in Jakarta ‘BASS DOWN LOW’ - SUPAFLY edition is back tonight 11 PM onwards! . - Featuring FENDY, JEREMY JAY, JIGGY, MC BIG BUNCH. - Get special price for bottles promo all night long . - RSVP at Follow @domainclub on instagram for more info and updates!